No matter your guitar playing skill level, you always need a good amp to pull those notes through. However, finding the right one can be pretty hard. What exactly to look for? How much power do you need? What are the best guitar amps out there? That’s exactly why we decided to write this article, and include not only guitar amp reviews, but also the most important features and specs you should consider when buying one. So sit back and relax, as we dive into the world of the best guitar amps you can buy! Choosing A Guitar Amplifier: What to Look For? What Kind of Music Do You Play the Most? Unless you’re a more advanced musician and have some experience with guitars and related gear, there are a few important things to look for when buying an amp. You may find some of these pieces of advice more or less useful in your exact case, but it’s good to have them in mind, as they can really help you in choosing the right amp for your needs! 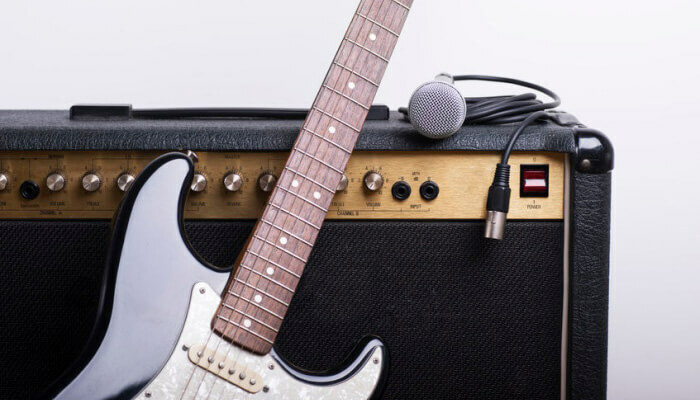 Though getting probably any guitar amp will do the job just fine, some amps perform better and provide a more specific kind of sound for different genres of music. Whether it’s an amp that’s special for its clean tone or an amp known for having a good overdrive tone, think about the kind of music you’re the most into. Sure, you can always hook up a chain of effects pedals and get the sound you need that way, but having a good amp for that particular genre can greatly improve your overall sound and presence. Before we go any further into different types of amps, specs, and features, it’s important that you understand some of the basic amp terminology that gets thrown around when talking on this subject. 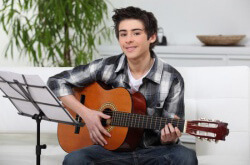 A guitar amplifier consists of two main parts. The head and the cabinet. A combo amp, as you might have figured, combines these parts into one device. A combo amp provides enough power for smaller venues as well as rehearsal sessions. This means that an amp head is connected to a speaker cabinet, but are bought as separate devices. If you plan on doing gigs and concerts in large or open air venues, your best bet would be to get a head and cabinet amp. This also allows you to combine different or multiple cabinets with your amp head. This abbreviation stands for Equalizer. It’s a device that’s built in the amp which allows you to shape and model the sound that’s coming out. Most popular guitar amps offer 3-Band Equalizers which consist of bass, mid, and treble, meaning you can only control these 3 parameters separately. Other, more advanced and professional amps give you control over the rest of the frequency range, such as low mids and high mids. There are also graphic equalizers which grant you the control over exact frequencies, enabling you a higher level of sound control. A preamp is the part of the amp which picks up the signal your guitar is sending, and boosts it enough so the rest of the electronics can deal with it. That is also when the EQ and other parameters alter the signal. The power amp then comes in and alters and boosts the signal in a way the speakers can push it through. The best guitar power amp solutions can really give the signal a good kick. Knowing this is most important if you’re looking for tube amps, as they feature preamp and power amps which use different tubes. To be completely honest, the first time I bought an amp for myself, I had absolutely no idea what this I/O was for. Though you can use effects pedals through the front, chained after your instrument and before the amp, the FX loop input allows you to insert the effects into the signal in between the preamp and power amp. 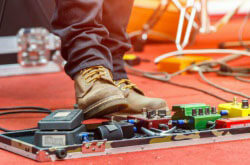 While this may not sound very important, it gets pretty clear when you start using more than 2 pedals at the same time, or, for example, delay pedals, which work way better when connected via this input. Having this feature means that you can switch between two different channels, usually a clean one and a distorted one. Also, have in mind that you will need a footswitch to operate this feature while playing. Some amps come with their own footswitch, while others require you to buy a separate one. As with any piece of music equipment, your amp is going to get worn out. Whether you tour regularly, use it in your recording/rehearsal studio, or simply play at home, you want to look for an amp that will do a good job for a reasonable amount of time. Who makes the best guitar amps? What is the best guitar amp brand? Well, pretty much every brand out there has their own unique choice of design and materials. The best-rated guitar amps offer not only solid build quality but also an option of easily fixing anything that might get worn down or broken, and replacing any parts. Tube amps need extra attention as they require good heat management to work properly. If you’re not on a very tight budget, we suggest you invest in a slightly more expensive amp coming from a well-known company. That way you minimize the chances of buying a mediocre amp that will give up on you after just a couple of months. It’s always better to wait, save up a bit more money, and get yourself a high-quality amp than just blindly going for one you can afford at that point in time. Unlike some other pieces of music equipment, guitar amps have evolved greatly since they made their first appearance. With higher levels of digital components being implemented more often, there are very different types of amps you can get nowadays. These amps feature the oldest type of technology. Old school vacuum tubes are used to amplify the signal that’s coming from your guitar. Around 60 years ago, this type of amps was the only option you had. Though they can get pretty expensive, there are certain benefits that not even the most modern and digital amps can’t provide. Most guitarists prefer tube amps because they sound very natural, and let your guitar shine through quite nicely. Another thing tube amps are known for is the fact that they are able of producing natural overdrive. If you crank up the volume and gain high enough, a very organic sounding overdrive lets you play around with your tone. If you prefer a more old- school approach to guitar tone, and rely on having a nice, warm, yet powerful overdrive without using any additional equipment, going for a tube amp is a great option. Do have in mind that you will have to change tubes from time to time, which can get a bit pricey. On the long run, investing in a good tube amp is a good idea, especially if you are a more advanced guitar player. Though these amps existed for quite some time, they only managed to shine through the moment that transistors were invented and reached the market. As a way of avoiding vacuum tubes, which, as we just said, can get pretty expensive, and require maintenance and switching, transistors were less prone to breaking and were much easier and cheaper to replace. As far as sound goes, it differs from one company to the other. Unlike tube amps which all provide more or less the same sound, at least when it comes to the overdrive and basic features, getting a solid state amp from one manufacturer won’t guarantee you the same sound as another amp would. Solid state amps also tend to be noticeably cheaper than vacuum tube ones, but there are still pretty expensive models on the market, which will provide you with a much better sound. The latest innovation in the world of guitar amps are the modeling amps. Totally different from vacuum tube or solid state ones, these amps feature a digital sound modeling technology via a processor which recreates different sounds which are preloaded. Modeling amps still rely on the same technology as solid state ones when it comes to the power stage. So, the main difference between different modeling amp models is in the processor used. 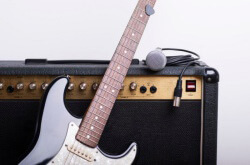 Most guitarists see modeling amps as a good option only when it comes to home practice and limited use. They are a great choice for that as they tend to be pretty inexpensive, and often offer great features like different amplifier emulations, loads of cool effects etc. The main downside of these amps is the easily recognizable “digital” tone. Not that it makes them sound like a MIDI instrument or a keyboard, but there is definitely a slightly colder note to them, especially when compared to vacuum tube ones. The best digital guitar amps can emulate the sound of tube amplifiers quite nicely, but still, you will have to spend a lot of money in that case. As you might have guessed, these amps combine tubes and digital circuitry, and often offer a truly interesting sound and tone. So, which one do you get? There are a lot of cool guitar amps out there, but it really depends on what kind of sound you prefer. Of course, budget is an important factor in most cases, but do consider the differences between the mentioned amp types when buying one. 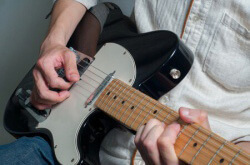 You can easily achieve numerous effects in your tone by using different processors or pedals. Look for an amp that has a good clean tone as well as a powerful overdrive or distortion. When it comes to speaker size, there are a couple of different options. Smaller speakers are better for producing higher frequencies, whereas bigger ones are used for that low-end rumble. Most commonly, 8 and 12-inch speakers are used to give the amp a nice and broad coverage of the frequency range. If you plan on getting an amp for home practice sessions, a smaller one is a better choice, as you won’t have to deal with a lack of space as well as too much power. For larger venues as well as outdoor gigs and concerts, you will need a lot of power. Depending on the circumstances and the rest of your gear, 100- 200W should do the job. Vacuum tube amps are a bit tricky when talking about power, because of the before mentioned overdrive. In order to get that overdrive, you will need to crank up the amp, which can be a problem if you can’t play at higher volume settings such as at home. And finally, let’s talk about your budget. As there are a lot of different options on the market, amps, like other pieces of music equipment come with very different price tags. If you’re looking for an amp to use exclusively at home, and don’t really plan on doing gigs or rehearsals with a band, you really don’t have to spend a lot of money. There are great mini amp solutions you can get, which you will see in our review. If you’re not sure whether you may be playing with a band, it’s generally a good idea to get a slightly bigger and more powerful amp. Don’t go too crazy though, as you will have to carry it around from time to time. We tried to include amps that fall in various price ranges, so you have a clear image of the best amps out there. On the other hand, if you are a professional musician, or simply tour around a lot with your band, it’s better to save up some more money, and get yourself an amp you’ll be pleased to use for a longer period of time. Definitely give the models we’ve chosen as the best electric guitar amp for the money a good look! With all that out of the way, let’s start with the electric guitar amp reviews! Though Blackstar is very well known as a company that has been manufacturing top rated tube amps, their IDCORE10 Stereo Combo amp shows their craftsmanship in the world of modeling amps as well. Being more than one of the good electric guitar amps for beginners, the IDCORE10 is also good for more advanced guitar players. 10W of power is more than enough for basic home rehearsal needs. A nice and intuitive layout of 6 different channels as well as a good range of built-in effects makes playing around with your sound a blast. Included with this amp is a hefty software pack which allows you to easily record your fresh tunes. 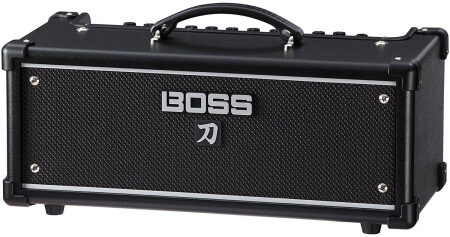 You can’t say that a lot of amps in this price range offer a neat package as this one does. Though this is a modeling amp, the sound it provides is surprisingly natural and pleasant. 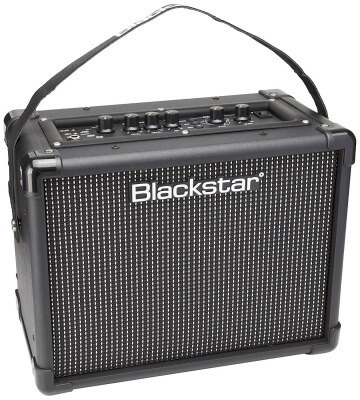 As probably the most versatile amp in this price range, the Blackstar IDCORE10 is a great choice for any guitar player looking to experiment with different sounds and effects. With the included software bundle, this amp is the best amp for guitar recording under $100. If you’ve heard of Orange amps, you may think that all of their models are pretty expensive. The Crush 12 shows that you really can get a high-quality Orange amp for under $100! Sure, they had to cut some corners in order to maintain a reasonably low price, but this amp still manages to deliver that raw and powerful Orange sound. Mimicking the sound of their full- size stacks, this 12W amp features a 6-inch speaker shaped in such a way that it imitates the sound of way bigger 4×12 cabinets. 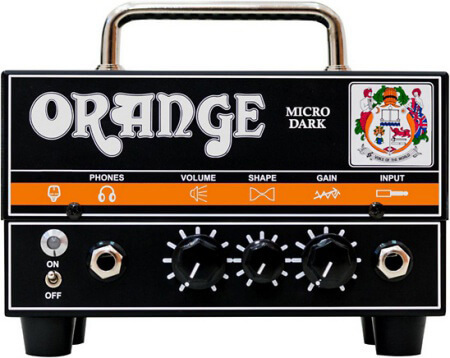 Sound- wise, expect exactly what you would from full- size Orange amps from this little puppy. Besides the regular volume and gain knobs, it features a 3-Band EQ and overdrive controls. Simple yet effective, the Crush 12 is a great way of starting your guitar- playing career, as it will give you the necessary features to start out. Many guitar amplifier reviews have marked the Orange Crush 12 as the go-to mini amp for just about any beginner guitarists, and we fully agree. 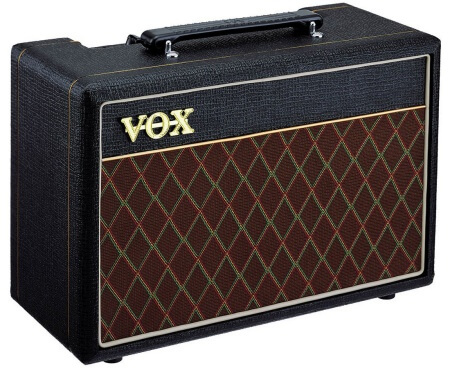 Following a similar old school design like the Crush 12 by Orange, the Vox Pathfinder 10 V2 manages to capture the quality of more expensive Vox amps in a pretty affordable package. A pretty straightforward interface includes gain controls alongside bass, mid and treble knobs. 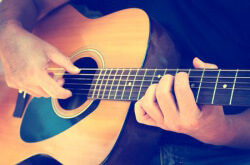 Nothing too fancy, no bells and whistles, so you can really focus on your tone and technique. With two separate clean and overdrive channels, the choice is yours. Do you go with the crisp and mellow clean sound, or the heavy but balanced overdrive? Whichever you may prefer, we are sure you won’t be disappointed. As the name might suggest, this model packs 10W of pure power, great for home use. If you are more of a night owl, simply plug in your headphones and play away. If you don’t really care about effects, and value the natural sound and tone of your guitar, the Vox Pathfinder 10 is the best amp for guitar practice you can get. 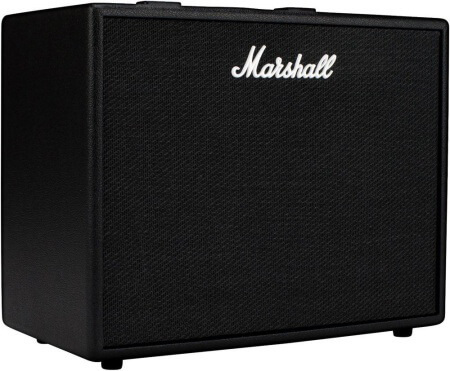 No guitar amp review would be complete without mentioning at least one Marshall model. The MG15CFX is our choice as one of the top rated guitar amps in this price range. This small solid state amp may be compact, but at the same time offers great levels of control over the sound. A standard 3- Band EQ is coupled with reverb, volume, FX and master level controls, making tuning in just the right sound a piece of cake. The mentioned effects sound pretty good and will do a good enough job, so you won’t necessarily have to take all of those pedals with you. There are separate clean/ crunch toggles, as well as two different overdrive channels. For extra convenience, the good folks at Marshall included a footswitch input, so you can toggle through different channels without having to stop playing. Yet another neat feature is the standard 3.5mm headphone output alongside a music player input of the same size. All things considered, the MG15CFX is one of the best combo amps you can get at this price range. With the ability of using a footswitch and playing alongside songs via a music player, this amp is not only great for beginners, but for intermediate guitarists as well. Taking a step further from classic solid state and vacuum tube amps, the Micro Dark by Orange Amplifiers features a hybrid setup, with both tubes and digital circuitry. First of all, it’s important to note that unlike the previous models we’ve reviewed, this one is an amp head, not a combo. This means that you will have to find an appropriate cabinet to pair it up with. Offering 20W of power, this strange looking amp is capable of pushing out sound through a 4×12 cabinet, but you can still use it in your bedroom without having the house falling apart. As it is a hybrid amp, it offers cool features such as cab emulation, meaning you have a whole new level of experimenting with sound in front of you. Simple volume, shape and gain controls may seem as too minimalistic, but are more than enough for dialing in the sound you need. Though a bit different than the other models we’ve mentioned, the Micro Dark is a great way of getting into the world of hybrid amps and experimenting with sound. Some of you will love it, others not that much, but it’s certainly worth trying out! When it comes to Fender instruments and equipment, you can hardly go wrong. There is a good reason why they are known as one of the best guitar amp brands out there. The Champion 40 is a relatively inexpensive combo amp meant to provide you with anything you might need from an under $200 amp. With two different channels, alongside the option of choosing between 4 voice settings, you can easily find the right sound you need. Much like the MG15CFX by Marshall, this amp offers a good range of great sounding effects. A 3-Band EQ is also present, but we found the knobs to be a bit more precise than most other amps we’ve tested, something that differentiates the good electric guitar amps from the rest. 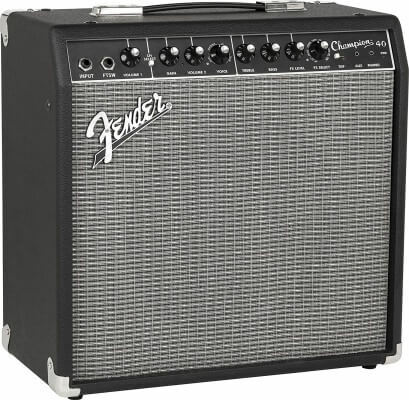 As probably the best guitar amp for rock, at least in this price range, the Champion 40 by Fender won’t disappoint you in any way. 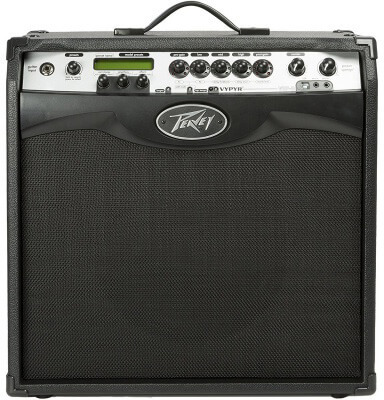 Peavey is also one of those companies you should consider as being a strong competitor to Fender and Marshall. Their Vypyr VIP 3 is a great option if modeling amps are your thing. As probably one of the best intermediate guitar amp solutions out there, this model has a lot to offer. We would even go as far as to recommend it to the more enthusiastic beginners out there, once again because of its great features. Do have in mind that 100W can be a bit too much for only using this amp at home, but it’s powerful enough to push through most gigs. Because the Vypyr is packed with various presets and amp emulations, there is a handy display on the left-hand side to make cycling through the presets easier. Besides different amp presets, there are also various instrument sounds loaded, making this amp the go- to choice for experimenting. A built-in looper practically allows you to make more complex songs on your own. All things considered, the Peavey Vypyr VIP 3 is one of the best sounding guitar amps in the modeling amps category. Do consider the less powerful version as well, as the best 20W guitar amp with loads of effects for a relatively low price (less than $150). 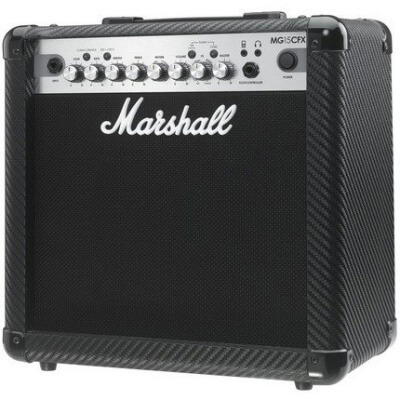 Next on our list is the Code 50W modeling amp by Marshall. Its minimalistic design and powerful sound will definitely make a great addition to your stage gear. The design comes as absolutely beautiful, as the front of this amp features only the well known Marshall logo. All of the controls are hidden on the top side of the amp, making it much easier to dial in the right sound, and, at least in our opinion, giving this model the title of the best guitar amp design- wise. A single 12-inch speaker is more than enough to push through 50W of crisp and balanced sound. Not only is it good as a home amp, but a powerful gig option as well. With 14 different preamp presets, 4 power amp, 8 speaker cab emulations, and 24 effects to choose from, you will hardly run out of new sounds to experiment with. The Code 50W by Marshall is a true gem amongst modeling amp enthusiasts. As a slightly different approach to modeling amps than the Peavey Vypyr VIP 3, the Marshall Code 50W is a great option if you’re looking for the best modeling guitar amplifiers. Not to neglect vacuum tube amps in our best guitar amps review, next up we have the G5 Infinium by Bugera. In this price range, there are hardly any better tube amp heads you can get. If you are a fan of Bugera products, you’re definitely going to love this one. With reverb controls, a 3-Band EQ, with a useful Morph knob for tuning in USA and UK tone, you have full control over the tubes. Separate overdrive and clean controls are standard and are very precise and easy to use. No matter the settings you go for, you won’t be disappointed. 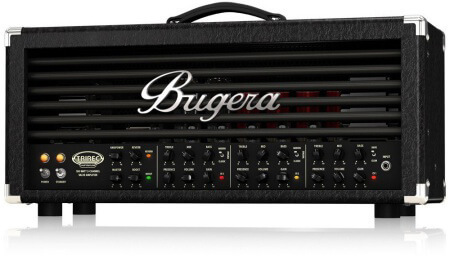 Bugera managed to combine a hint of Marshall’s Plexi and that 5150 crunch, making the G5 Infinium one of the best electric guitar amps for metal and similar genres that need that raw sound. An included footswitch rounds this model as probably the best tube amp under $300, with great value for the buck. 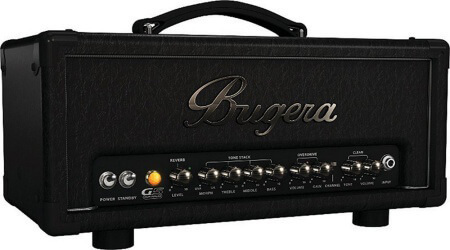 If you’re looking for the best tube guitar amp capable of plowing through the rest of the mix, look no further than the Bugera G5 Infinium. The best guitar amps have to be versatile. The Line 6 Spider V 240 HC is a modeling amp head that features its own double 4-inch speaker and tweeter setup so you can use it for home practice as well as gigs when coupled with a cabinet. With 50W of power, it’s definitely going to impress you with the volume it can produce. The control layout is pretty simple and straightforward. Besides the standard 3-Band EQ, you can control the amount of drive as well as the volume. A rather small screen shows you the currently active preset, and via a couple of knobs you can easily browse through numerous built- in presets. The Spider V 240 HC is certainly an interesting approach to guitar amps. The fact that it is so versatile, makes it a great buy for a reasonable price. Though at first glance it may not look that special, the Katana Head by Boss features very neat and useful options to play around with. With 12 pots making the layout, Boss made things easier by dividing them into 4 categories. You can choose from 5 different amp types as well as experiment with great sounding effects, 15 in total, with 3 you can use at once. To make things even easier, you can even make 4 different presets and cycle through them by pressing the dedicated buttons on the right-hand side. As probably the best 100W guitar amp in this price range, the Katana Head offers splitting the power in half, or even up to 0.5W if you need a less aggressive sound and volume, perfect for playing in your bedroom. If you’re looking for a good 100W modeling combo amp, the Boss Katana Head will definitely meet most, if not all of your expectations. Once again has Orange Amps showed us why they are regarded as one of the best tube amp manufacturers out there. The Crush Pro CR120H is a 120W vacuum tube beast of an amp head that has a lot to offer. Simplicity being the keyword, the controls are divided into two parts, one set for the clean, and the other for the “dirty” channel. The built- in reverb with 3 modes, spring, hall, and plate, gives the already massive and rich sound a nice flavor. FX Loop and all the other mandatory I/O options are included, as expected from most Orange amps on the market. The overdrive this amp offers is good, but not the best this company has to provide. This is easily solved by using some additional pedals, something that most guitarists do anyway. 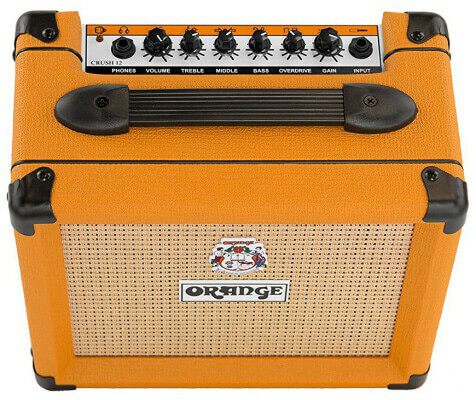 Getting the Crush Pro by Orange Amps is a great idea, as it is probably the best tube guitar amp for the money. You didn’t think we forgot about Hughes & Kettner? Well, we decided to include the TubeMeister 36 as the most beautiful, and probably the best stereo tube amp under $1000. With 3 separate channels, clean, crunch and lead, your imagination and level of expertise are the only limits. All of the knobs feature a blue backlight making it not only easier to use on stage but giving it that unique look as well. All of the tubes and internal circuitry are visible as the front features a see-through panel. As far as the sound goes, well, you simply need to hear this bad boy yourself. It’s everything you ever wanted from a tube amp, and a bit more. If a tube amp is what you’re looking for, it hardly gets any better than the TubeMeister 36. It’s one of the best guitar amplifiers for jazz on the market. As yet another great vacuum tube amp option, the Marshall DSL100H features amazing playability and versatility. I’ve had some time to test out this amp back when I worked in a recording and rehearsal studio. All of the bands that were coming in that period were pleasantly surprised by the performance of this bad boy. Though it was mainly used with power attenuation on, splitting it on 50W from its original 100W, it was still powerful enough to push the guitar through the rest of the instruments. With two channels each with two different modes, you can really get some interesting sounds from the DSL100H. Clean is best described as standard Marshall crisp tone, and the crunch adds a fine layer of “dirt” while maintaining definition and clarity. You really can’t go wrong with the Marshall DSL100H. If you are a fan of tube amps but want to keep things fairly simple, this model is your best option. And finally, as our last pick of the best guitar amps under $1000, we have the Trirec Infinium by Bugera. We have already mentioned one model from the Infinium series in this best guitar amps review, but this one really is something special. The Trirec Infinium is a hand built tube amp head with 4 tubes that features 3 channels with switchable voicing options. At first glance, the controls may look a bit hectic, but once you’ve tried the amp out, you’ll see that they make perfect sense. As it is a 100W amp head, you can rely on it for even the most power-hungry setups and gigs. Rectification is done using either the two valves or silicon diodes, depending on your sound preferences. The Bugera Trirec Infinium is a great tube amp not only for metalheads but probably for any guitar players that seek that powerful yet clear and balanced sound. For under $1000, it’s definitely a good investment. You can certainly agree that there are truly different options on the market when it comes to the best guitar amps. After looking at, in our opinion, the best models you can get, we hope that we’ve managed to answer your questions and maybe even helped you find the right amp for your needs. Thank you for reading, and we will see you next time!